2018 Moto Guzzi Griso 1200 S.E.. Picture credits - Moto Guzzi. Submit more pictures. 2018 Moto Guzzi Griso 1200 S.E. After three seasons, the Griso 8V Special Edition changes outfit, leaving behind the commemorative �Tenni� livery for a new look that feels much more, modern and aggressive, called �Black Devil�. A new colour concept that transmits a greater impact to the non-conformist style of Griso with a �matt black� look interrupted by a sharp silver graphic pattern that generates a beam of light extending from the tank to the lateral ducts. Model: Moto Guzzi Griso 1200 S.E. Price as new (MSRP): US$ 13190. Prices depend on country, taxes, accessories, etc. Fuel system: Injection. Multipoint sequential electronic injection, Magneti Marelli IAW 5A phased, alfa-n system; 2 x �50 mm throttle bodies with Weber IWP 189 injectors, Lambda probe. Ask questions Join the 18 Moto Guzzi Griso 1200 S.E. discussion group or the general Moto Guzzi discussion group. Bikez.biz has an efficient motorcycle classifieds. Ads are free. Click here to sell a used 2018 Moto Guzzi Griso 1200 S.E. or advertise any other MC for sale. 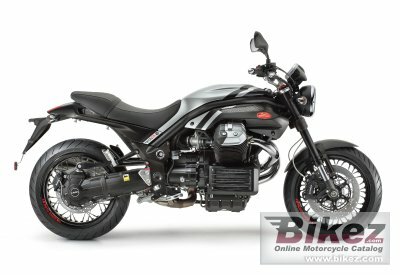 You can list all 2018 Moto Guzzi Griso 1200 S.E. available and also sign up for e-mail notification when such bikes are advertised in the future. Bikez has a high number of users looking for used bikes. Before you buy this bike, you should view the list of related motorbikes Compare technical specs. Look at photos. And check out the rating of the bike's engine performance, repair costs, etc.